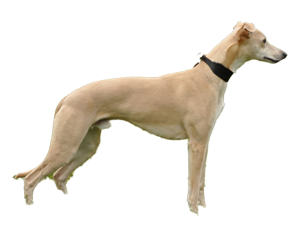 Moonlake whippets have been bred to show and run since the 1970s. They are equally at home hunting the hedges, trotting round a show ring, chasing a lure or a rabbit or simply looking stunning on the sofa at home. The three currently active dogs are on this page: click on the name to see its pedigree or on the picture to go to the individual page for that dog. Below them are their mothers. Scroll down for past champions. Previous Moonlakes are in History. All pictures copyright. No permission to download. Special thanks to David Paton, Mirka Sarochova, Tinne Van Hooydonck and Catriona Ryan for the many lovely photographs they have taken of my dogs over the years.